Is there a purpose for the existence of the cosmos? What is the true origin of the universe? What caused it to come about? What is the vast, unseen material of the universe? Why is the universe in existence? The study of yoga suggests that there is a Universal Intelligence that animates all of reality and creativity, which gives some answers to the question, "What is Metaphysics?" The study of Quantum Physics clearly demonstrates that there is an intelligence abounding non-locally, in and around everything with no boundaries, that we cannot quite understand, nevertheless, it is there. If we can realize that the supreme creative intelligence of the universe is also in us, then we can harness that power and use it for our good and the good of all. Understanding and moving into that power is the ultimate goal of all Beings, even if that realization is not yet known to an individual. Ultimately, we are all on the same path to the supreme connection to Divine Intelligence, just as a plant naturally reaches toward the light of the sun. 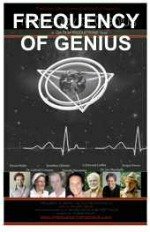 The Frequency of Genius Movie is a compilation of some of the greatest minds on the planet and brings an open awareness to spiritual metaphysics and the philosophy of metaphysics. It addresses the questions of the frequency of the universe, "what is metaphysics" and "what is our purpose," among other profound topics. You can become more immersed in the higher levels of thinking by tapping into the minds of these great thinkers. The term "Metaphysics" deals with the principles and nature of reality. It advocates that there is something higher and even more "real" that lies beyond what we are capable of knowing, way beyond mere physics. Spiritual Metaphysics is the science that grasps what is essential while remaining impartial, but yet asks "what is the true nature of reality?" The philosophy of metaphysics is such that it seeks to explore the principles and mystery of our very existence. Metaphysicians or Metaphysicists use many forms of exploration, such as Extra Sensory Perception (ESP), paranormal research, alternative healing and hypnosis, to develop enlightenment and knowledge of all things Divine. This valid field of study is conducted both inside and outside of the scientific community. Metaphysics is indeed the basis of all philosophy and tries to solve the questions that material science cannot. It is the study of life beyond the confines of physics. It transcends the teachings of any particular science and asks questions which the reflective human mind cannot understand. Based on an inner knowledge received by the intuitive functionality of the brain, the interpretation and philosophy of metaphysics and spiritual metaphysics is through direct personal experience rather than reading or taking a course on the subject. The subject can be researched through books, but the real knowledge comes from tapping into our own infinite inner intelligence, enhanced through meditation and going inward. Only then can we unlock the answers to the questions of our very existence. Order your Frequency of Genius 2 DVD Set (Shipping is Free!) and begin to unlock the secrets of Metaphysics, Sacred Geometry, and the Future Visions for Humanity. Return to Eternity Yoga Home Page from What is Metaphysics?